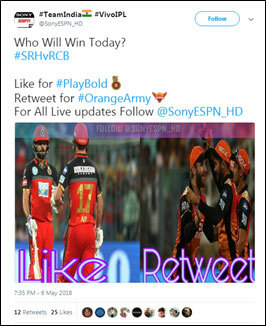 Social Media Predictions: Can RCB cause an upset against SRH tonight? After another frantic weekend of IPL action, the fortunes of the teams, as well as the points table, has witnessed considerable turnaround. MI registered a much-needed win and teams like CSK and SRH have consolidated their top positions in the points table. No team’s chances of making it to the play-offs have been hit harder than RCB after their dismal showing against CSK. As things stand, all the remaining matches for RCB are virtual knock-outs, you lose and you are out of the tournament. Will Bhuvneshwar Kumar and Rashid Khan maintain their impressive form against RCB? Can Virat Kohli and AB De Villiers nullify the SRH bowling threat? Can the RCB bowlers come up with a good show tonight? What does social media say? Social media results seem to favour RCB and the Visibility index shows that the RCB fans are more upbeat about their side’s chances against the much fancied SRH who are in a better position as far as the points table is concerned. However, the Favorability index tells a different story. RCB is miles ahead of SRH with respect to the Trust index and this might be because of the presence of stalwarts like Virat Kohli and AB De Villiers who are almost put on a pedestal by the social media enthusiasts. 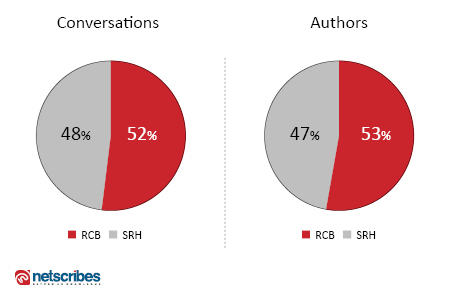 As far as the Affinity index is concerned, SRH edges out RCB marginally as fans might have a liking towards the SRH side who have been consistent throughout the competition. 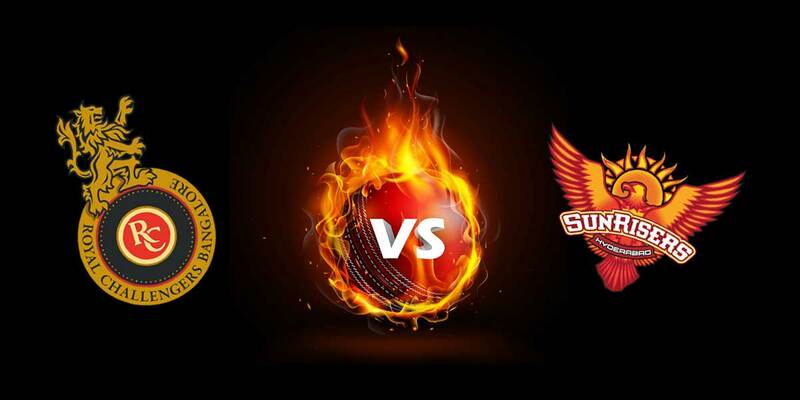 Most fans believe that the main attraction of today’s game is the contest between the RCB batsman and SRH bowlers. While Twitter is flooded with support for RCB and their batsmen Facebook has seen a deluge of fans rooting for the bowling brigade of SRH. Most of the conversations on these platforms pertain to this battle between bat and ball and fans are curious as to who will come out on top. Fans are also happy to see Bhuvneshwar Kumar back in action after an injury lay-off and believe that he will end up getting maximum wickets in the match. Which team will triumph today? Published in partnership with Talkwalker. Netscribes offers social media monitoring and analytics services to help brands uncover actionable insights and increase marketing effectiveness. Click here to know more.